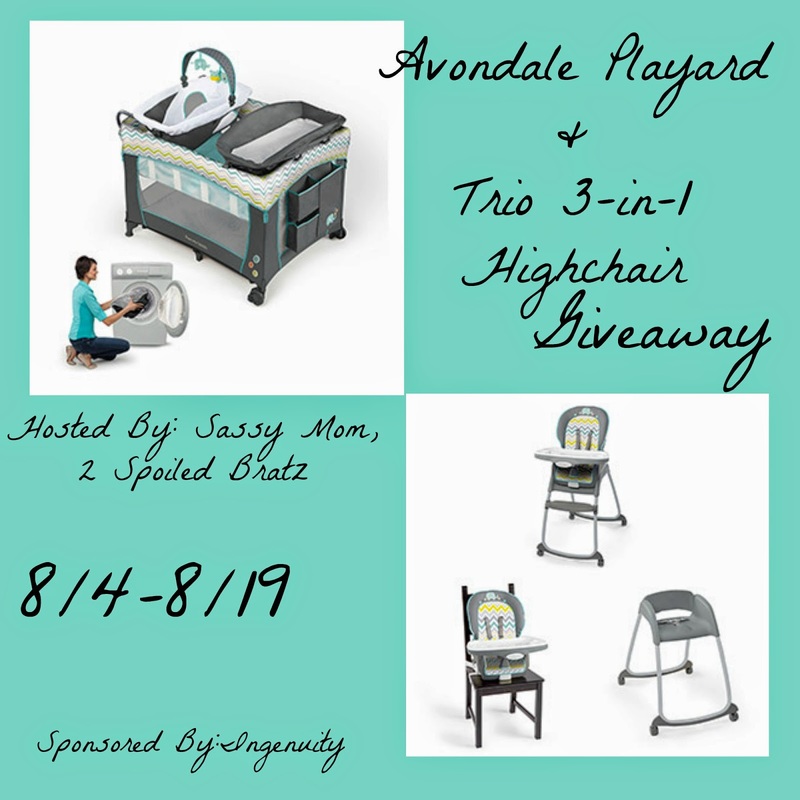 Sassy Mom, 2 Spoiled Bratz and Ingenuity are teaming up to bring you this awesome giveaway for one Trio 3-in-1 Highchair & Playard!! A playard and high chair are two essentials products for your baby. These would be great to have in any home or daycare.